Homeowners in Parkland, WA adopt the best practices to keep their gardens looking charming and wonderful. However, the beauty of yards and gardens in Parkland could be lessened if an unsightly stump is left after cutting down a tree. Further, not hiring professional tree removal services to grind the stump can make the stump a safety hazard for Parkland families. Serving Parkland property owners since 1986, Hunter's Tree Service is your one-stop destination for reliable stump removal and tree removal services. We understand the inconvenience stumps can cause for Parkland property owners and we assure complete stump removal by offering effective tree removal services. Having been in this industry since 1986, we are familiar with the latest and most effective stump removal and tree removal services, such as stump grinding. 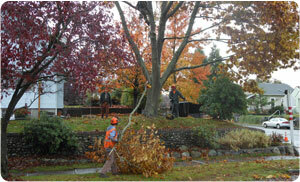 Because of our knowledge and expertise in stump grinding, we can offer tree removal services to meet or exceed your expectations. 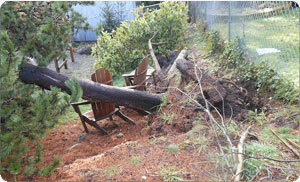 Our team serving Parkland is committed to delivering outstanding tree removal services to our clients. Irrespective of the number of stumps for which you require stump removal services in Parkland, we ensure proper stump grinding to give you your desired results. 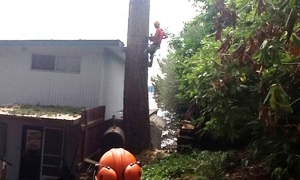 To hire expert tree removal services or for complete stump removal in Parkland, you can call Hunter's Tree Service at 253-245-3939.